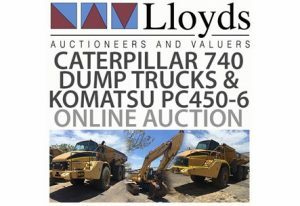 Visit Lloyds Auctions or bid online for these auctions. 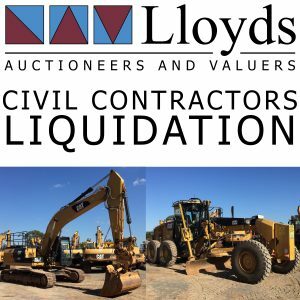 Lloyds Auctions sell items from tractors right through to industrial equipment and heavy plant machinery. If it needs to be lifted, transported, shovelled, or even decimated – we auction it! We conduct easy and convenient regular online auctions (as well as live on site traditional auctions). Whatever your method, we will have you thoroughly equipped to handle any heavy-duty task. We source all manner of mining and quarry specific machinery such as earth moving and mobile plant equipment. This is especially valuable to industry-specific customers. Some of our regular stock includes – excavators, loaders, cranes, graders, rollers and compactors, dump trucks, drilling machinery and surveying equipment. Our auction items are maintained to the highest manufacturing standards. Whether it’s hydraulics, machinery suitable for open-pit mining or even an apparatus to facilitate gold prospecting, we hold regular auctions that are a must for mining industry buyers. Here at Lloyds Auctions you will find construction, scaffolding and formwork up for grabs. If you are looking for constructions sales, then you have come to the right place. We sell brands such as Bobcat, Komatsu, Hitachi and Hyundai. We have machinery and equipment for sale that is specific to the construction industry such as dozers, air compressors and heavy equipment tyres. We auction all manner of parts and accessories. 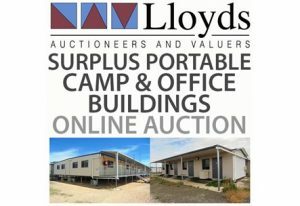 You can easily bid online or visit our auction yard to check out our wide range. If it’s got a turbine, if it chops wood or even if it does something to assist with milk coming out a cow’s udder, then you might just find it here at Lloyds Auctions. We are big on farm equipment! We sell tractors, harvesting machinery, tillage, seedling, hay and silage and spraying equipment from brands such as John Deere and Bobcat. If it’s heavy farm machinery & agricultural equipment that keeps your farming business turning its cogs at peak performance than we will most likely place it under the hammer at one of our regular auctions. And, you needn’t have to step foot off your farm – our online auction system is easily accessible and takes barely any time whatsoever.